During a turbulent week of racial activism and controversy on campus, Latino students met with University President Drew G. Faust on Thursday morning to discuss demands to better include students of color on campus. In a letter, the group demanded that Harvard designate one floor of the soon-to-be-renovated Smith Campus Center as a space for students of color on campus and allocate more funds to cultural and ethnic student groups. They also say Harvard should double the number of proctors and tutors who come from a diverse mix of cultural backgrounds and require administrators, faculty, and police to go through cultural sensitivity training. 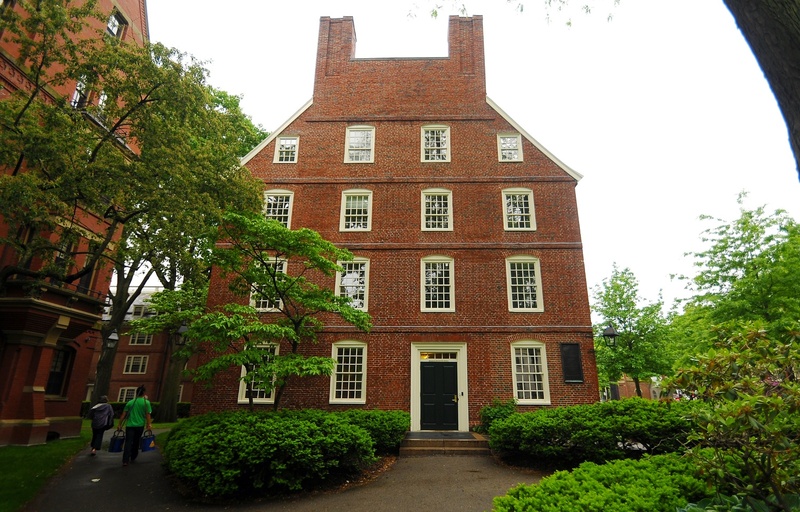 Massachusetts Hall, home to University President Drew G. Faust's office. Some of the letter’s points were mentioned in a report that the College released Thursday afternoon evaluating and making recommendations on issues concerning inclusion and diversity, signatories said. The students behind the letter intend to focus partly on the report’s conclusions when they meet with Dean of the College Rakesh Khurana next Monday. Though previous discussions among Latino student groups were the basis for many of the demands, a controversy on Brown’s campus last weekend spurred the group to more immediate action this week, according to organizers. Students gathered at a party for student delegates to the annual Latinx Ivy League Conference claimed that a Brown police officer assaulted Dartmouth student Geovanni Cuevas after a heated altercation. Following the incident, conference organizers postponed the event to focus instead on the issue of police brutality for the weekend. Harvard’s delegates then sent an initial letter to Faust’s office and Khurana asking to discuss the incident and issues facing Latino students on campus. 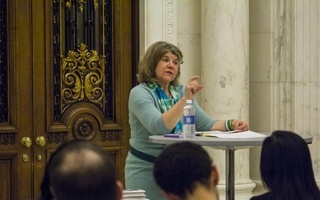 A separate letter, listing the demands that students brought to their meeting with Faust on Thursday, includes proposals more specific to Harvard, such as increasing funding for affinity groups, creating a multicultural center to provide services specific to cultural and ethnic groups, and changing the title of College House masters. The students, who belong to the undergraduate cultural group Concilio Latino and Harvard’s Latinx Ivy League Conference delegation, decided to release the letter publicly to keep administrators accountable to the demands, delegate and Concilio member Kelly Navarro ’19 said. 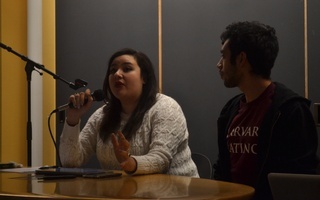 Students who attended the meeting with Faust on Thursday said it focused on the reasoning behind their demands and the Latino experience at Harvard more generally. While attendees said no concrete plans came out of the meeting, they said Faust was open to discussing a multicultural center for the University. The letter also invited Faust to a planned Latino town hall meeting in February, an annual event where Latino students gather to discuss their experiences on campus. “I welcome the opportunity to work with them to combat these injustices and to foster the culture of belonging to which Harvard is committed,” Faust later wrote in a statement. Khurana also agreed to meet with Concilio Latino and some Latino delegates next Monday to discuss the incident at Brown, College-specific goals, and the recently released diversity report. 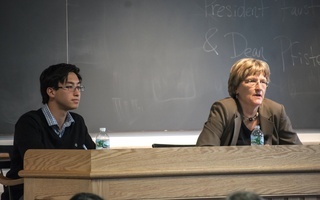 On Saturday, Brown President Christina H. Paxson took part in an open forum about the incident and administrators’ action to addressing structural racism on college campuses after the conference events were canceled. Paxson issued a formal apology to students and has promised to send a letter of apology to the presidents of all Ivy League universities, among other responses. Concilio Latino’s demands come in the middle of a turbulent week for race relations at Harvard and campuses across the nation. Earlier on Thursday, police investigated a case of vandalism at Harvard Law School where portraits of black professors were covered with black tape. And on Wednesday, dozens of students marched in support of with black student activists at peer institutions such as Yale and the University of Missouri at Columbia, where racial controversies have raged this month. We come up with answers for the problems we’ve diagnosed in the Latinx community. In our heads, we’re doing God’s work but, suddenly, the realization that we are the select few—the glowing brown chosen ones—comes crashing down on us. There’s no purpose in learning or scheming or brainstorming the best ways to help your community if you run so far away from them in order to do so. This Fuerza Latinx is noticeable among our community that has people helping out their families back home, fighting for social change, pursuing medical careers, doing original research, learning how to write music, and so much more.